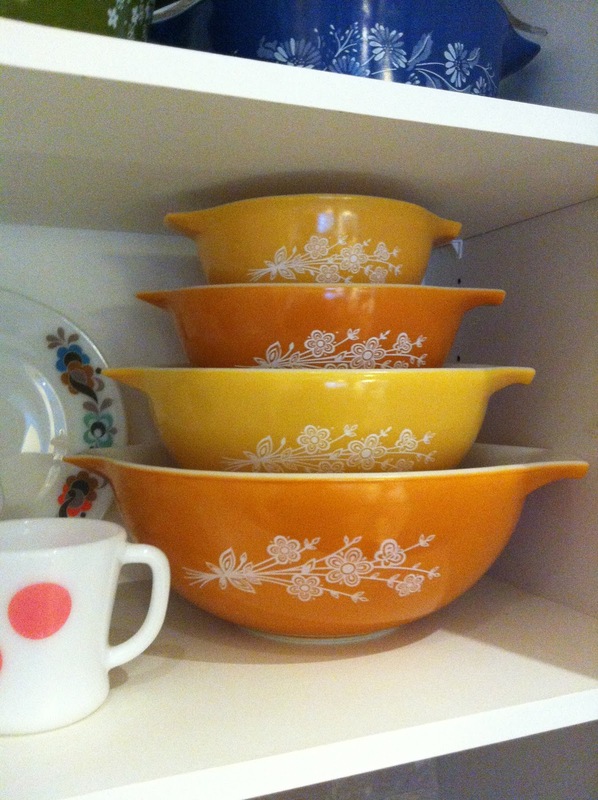 I'm talking about Vintage Pyrex. 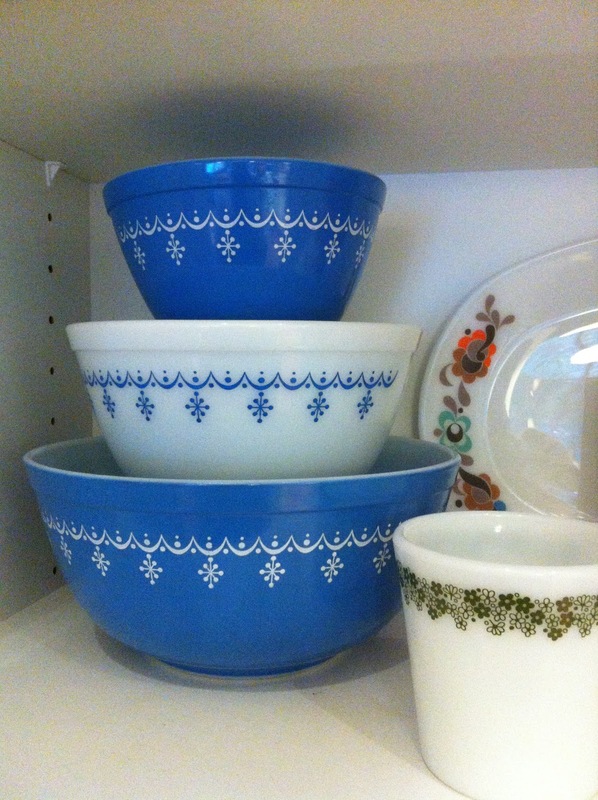 In lots of colours and patterns. 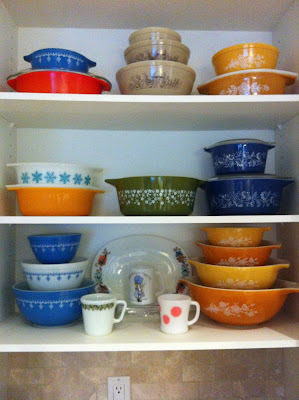 And I'm not just referring to MY Pyrex Obsession, but also that of my good friend Nicole. 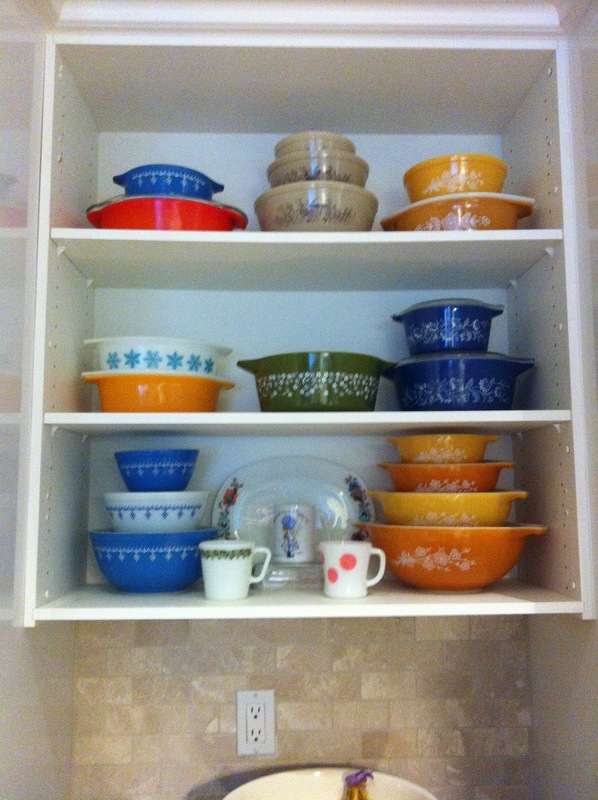 Feast your eyes on this display of loveliness in her kitchen. Nicole actually took the cupboard doors off for this display. Definitely cupboard-door-removal-worthy. 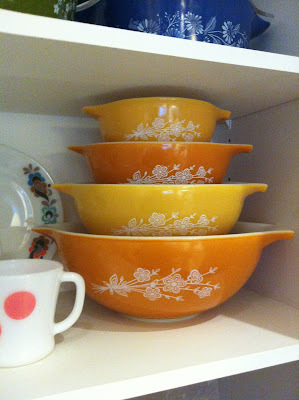 The colours of vintage Pyrex are so bold and inspiring to me! And the patterns are simple and cute. What fabulous color..truly out of my youth..Yes, damn, I am that old. Love it all and thanks.